I feel like almost a year or two ago, I switched from mainly using powder highlighters to reaching for more cream and liquid formulas. I feel like they're more versatile since they can be mixed into other products like foundations or primers/moisturizers to create more of a natural glow. While there are liquid and cream formulas that can be blinding, I wanted to touch on some subtle but glossy or balmy formulas that I love. As sort of a warning, all of these products can be slightly tacky on the skin. It's kind of the feeling of very thin Vaseline. Honestly, you could even mix in a tiny bit of pigment into Vaseline to get the same effect. By glossy, I don't mean a very reflective wet look, I want an actual balmy dewy finish. Do you know when you just put on a clear lip balm on and there's a slight gloss on your lips? I want that. I saw a comment on YouTube saying that a glossy highlighter could be thought of as a product that doesn't have a strong base pigment and so it looks wet instead of stripey because the base shade doesn't work for your skin tone. If you're looking for a video version of this topic but also with powder highlighters, Mariah Leonard on Youtube has a great video about it here! This look or finish definitely isn't for everyone though. I love it since I have dry skin that always looks lackluster, but I can see people with oily skin not liking this finish. 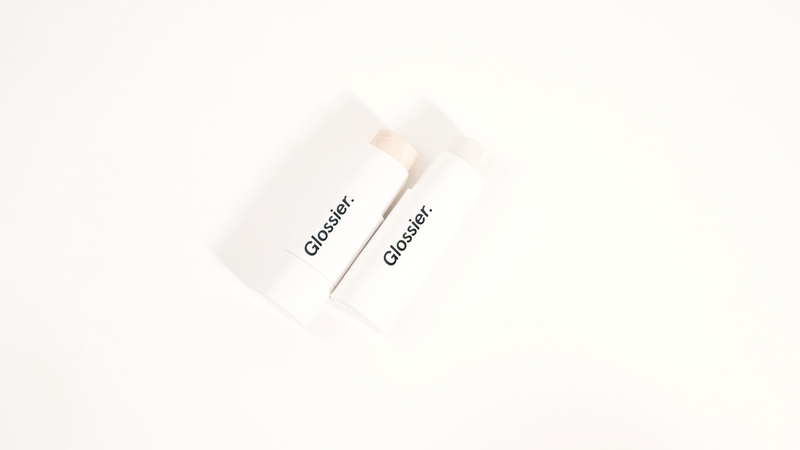 These Glow Beams can be used under and over makeup, but I only use it under when I want a really dewy look when my skin feels extra dry. Because of that, I prefer white more since it looks better all over my skin no matter how I use it. Pink has a gold sheen slightly running through it and so I mostly use it to highlight my cheekbones. 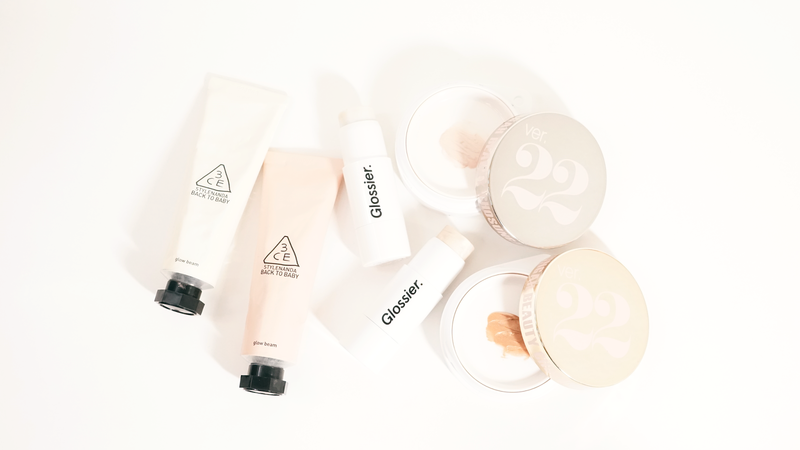 I'm kind of meh about Glossier skincare, but I've adored almost every makeup product I've tried from them. Quartz was the first shade I tried since I purchased it during my pink highlight phase, but Moonstone is definitely my favorite of the two shades. They are very very similar when applied onto the face, but I like how Moonstone is slightly more opalescent. I usually run my finger over the product and then tap it onto my cheekbones to make sure I have an evenly mixed in amount of the outer halo of shimmer and inner core of solid oil. Since it is balmy, running the stick directly over your foundation may disturb the base since you'll also need to blend it in. If you do choose to use my affiliate link, you can get 20% off your first order and free shipping for orders containing 2 or more products! I do get a small commission if items are purchased through my affiliate #glossierrep link though and if you're not comfortable with that, I've also included the regular direct link to the product. 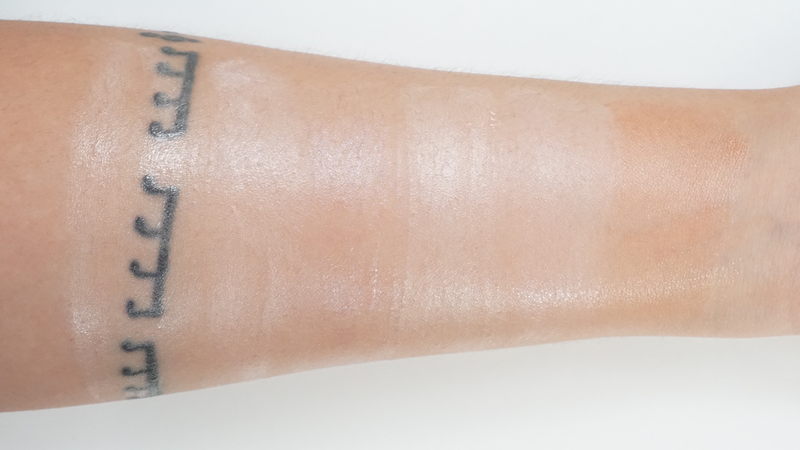 Pink Glow was probably my first highlighter that got me into the glossy/balmy finish. I was initially bothered because it never really sets, but how it made my face look outside made be forget about the texture. 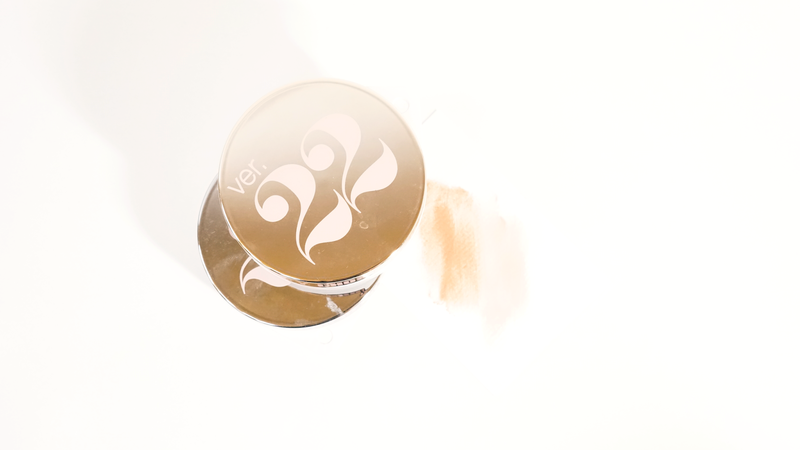 Compared the the other two brands, the Chosungah22 creams do feel thicker but it initial glossiness does last longer. I'm actually pretty excited to bring out the bronzey one again during winter since I like having a warm bronzey look when it's cold out. 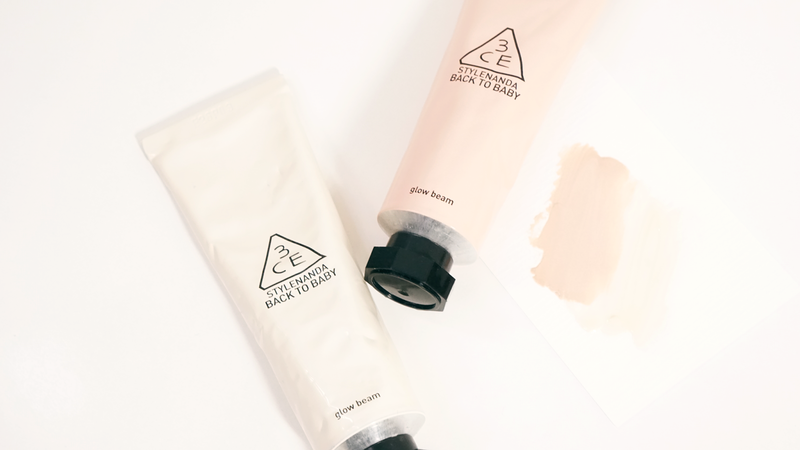 Like the 3CE Glow Beams, they can also be used under and over makeup. As mentioned over and over, I love a good glossy highlight. Let me know if you have any favorites or suggestions in the comments below!